A harmonica worthy of the advanced professional. Each part of the symphony-quality Hohner 7544/48 Amadeus Chromatic Harmonica is fully tested before assembly. The 12-hole Amadeus chromatic harp is made to exacting specifications with a clear plexiglas body, extra-tight fitting reedplates, and a gold-plated, ergonomically-formed mouthpiece. 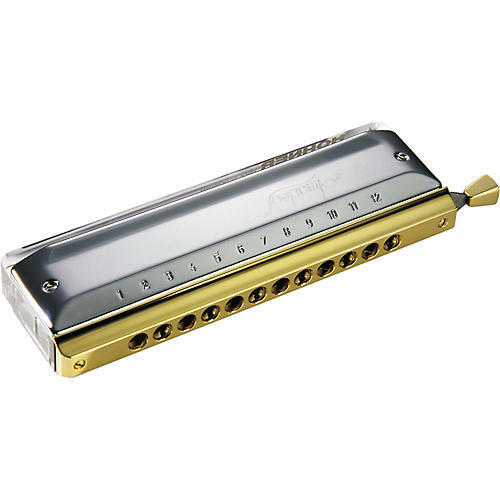 These features are combined in a superb Hohner harmonica of professional quality. Key of C.